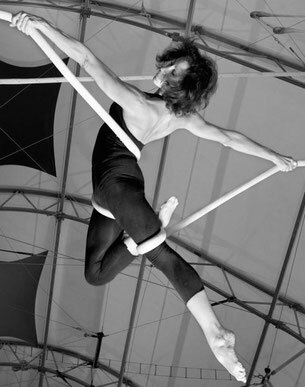 Fran has had a passion for movement ever since childhood, but she was told she had 2 left feet. It wasn’t until arriving in NYC, years later, that she discovered her right foot, and that it wasn’t ever missing at all! Her dance and acrobatic experience plummeted her into the lap of an acrobatic duo partner named Karen Gersch. Together, over the span of 17 years, they created delightful acts here and abroad, during which Fran was thrust into the air on Spanish web and static trapeze. 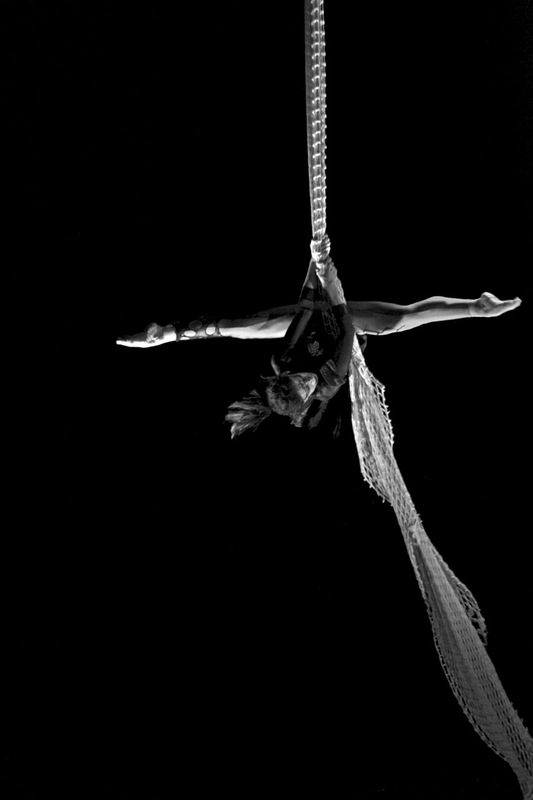 Her love for Aerial Dance blossomed, performing on a multitude of apparatus. Fran has performed on Late Night with David Letterman, for the Big Apple Circus, Lincoln Center, Patricia Birch, Donald Trump, and Heliummm and Chezzam Event companies to name a few. Fran’s passion is sharing her years of experience, studies and knowledge with her students. 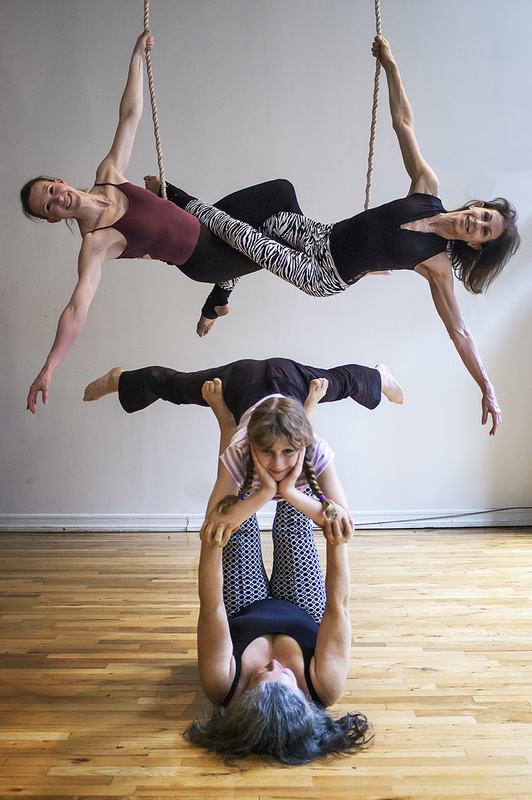 With a background in human kinetics, she engages her students to understand how to maximize aerial movement efficiently, and connect mind to musculature. She also empowers her students to realize they are capable of SO much more — despite what others may have told them, or they themselves believe!!! HOOAH! Favorite mentors: Juliana Neves, Serenity & Elsie Smith, Terry Beeman, Alyosia Gavre, Brett Womack, Chelsea Bacon, Tanya Gagne, and the San Francisco Circus Center. 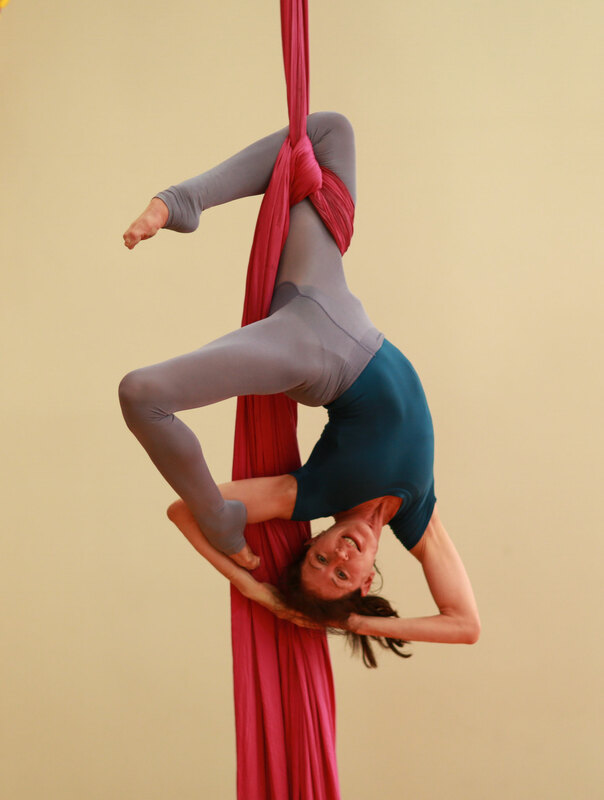 Fran frequently leads Om Factory's Silks 101 workshops. Check back often for Fran's latest workshop schedule!